– enhanced accuracy of level indicators. New calibration required! Of interested are the new keyboard shortcuts which should improve efficiency with the program. Over on YouTube Jon from SDRplay has uploaded a video showing how he’s used the knobs and interface from a 75 year old Marconi CR100 analogue radio to completely control an SDRplay SDR. 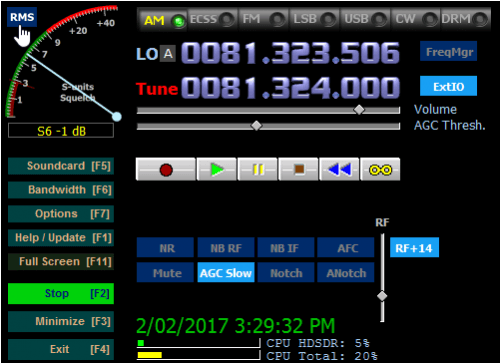 This allows you have the feeling of tuning a vintage radio with the old fashioned knobs, whilst enjoying the features of a modern SDR. Within the old radio enclosure they’ve managed to fit in a full Acer mini computer which runs the RSP on HDSDR. To allow the main tuning knob on the Marconi to tune the SDRplay they’ve used an Arduino controller, and an optical shaft encoder. As they intend for their hybrid to be completely keyboard-less, they’ve also added two UP/DOWN buttons to jump up and down the spectrum, buttons to choose the demodulation mode, and a new knob to control the zoom setting in HDSDR. The project was sponsored by RS components and is intended to be used in the November 2016 Electronica event in Munich as an exhibit that celebrates the 80th anniversary of the expo. The idea is that the SDRplay-Marconi hybrid combines radio technology which would have been around during the first Electronica expo’s as well today’s modern SDR technology. There is a write up of the project available on the RS components designspark website. 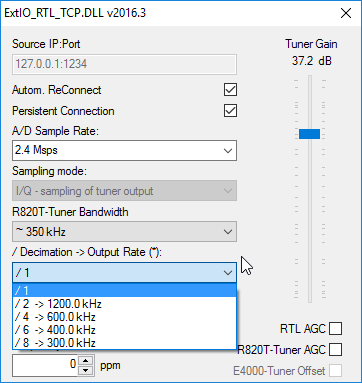 We’ve received a note from RTL-SDR.com reader Tim about a new ExtIO module available for the HackRF and HDSDR. 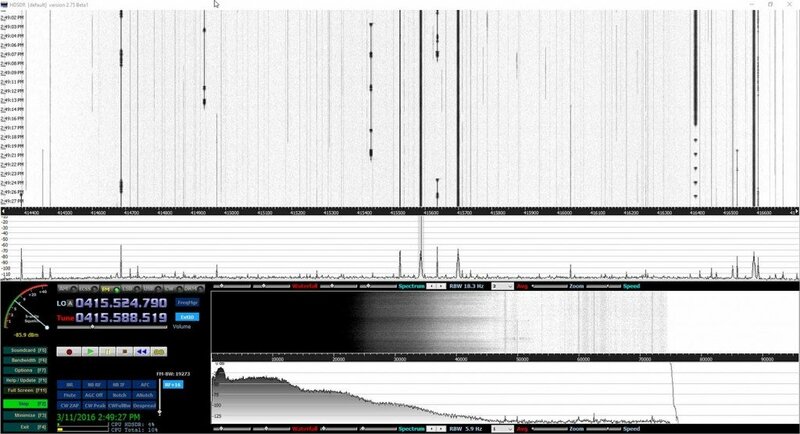 ExtIO stands for External IO, and is a special DLL file that allows HDSDR and other software to access hardware like the HackRF. 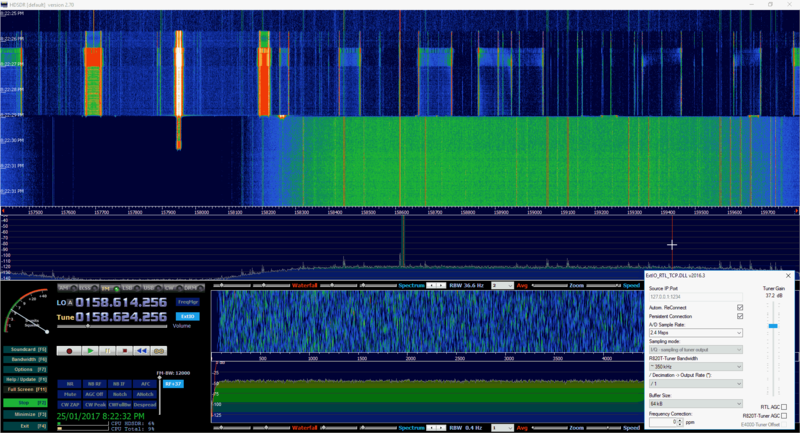 To use it, simply copy the HackRF ExtIO dll file into the HDSDR directory, and select it when opening HDSDR. The module currently supports 2, 4, 8, 10, 12.5, 16 and 20 MSPS sample rates. 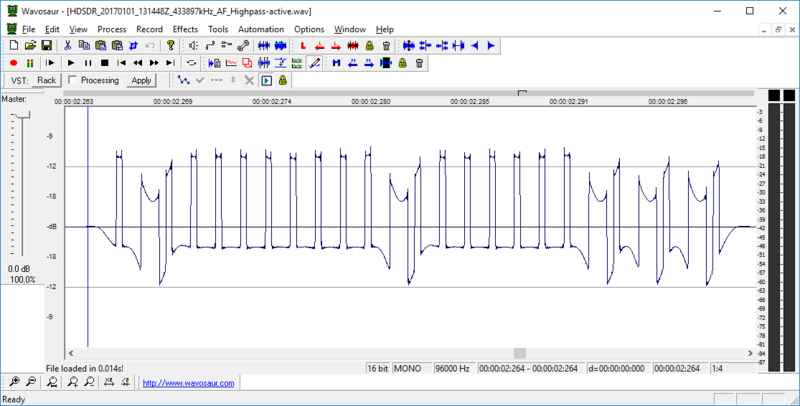 We tested it briefly on our own HackRF and it ran just fine at all sample rates. The module is available on GitHub and it’s current binary release can be downloaded here. 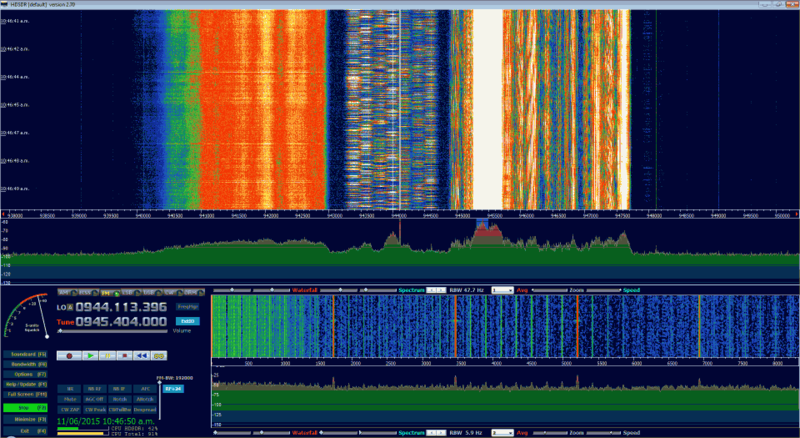 The HackRF running in HDSDR with the new ExtIO Module.